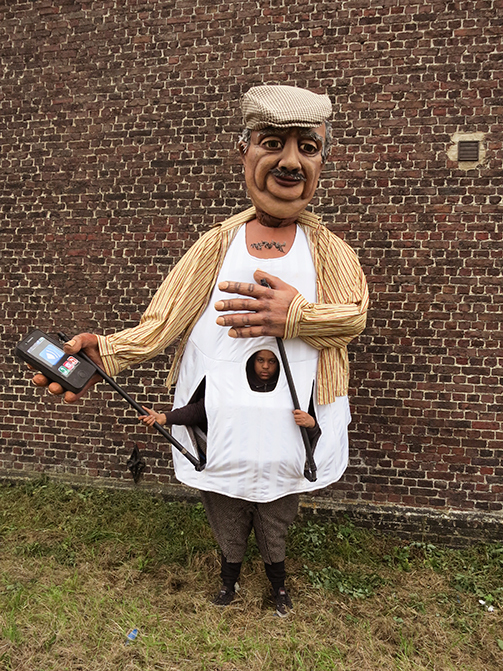 Born in La Louvière, Belgium during the 6th edition of the urban opera Décrocher la lune, in partnership with Mons 2015 European Capital of Culture, La Compagnie des Sept Lieux can participate in parades with up to seven giants, who are light and mobile enough to dance without restraint. Why seven? The city of La Louvière is twinned with seven cities in Europe. 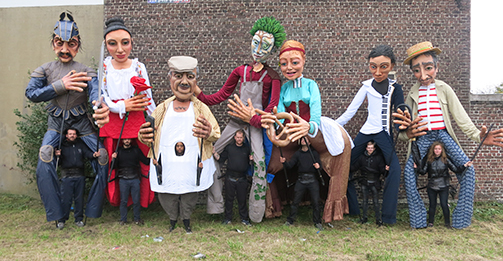 In 2015, it invited three citizens of each twin city to a three-week participatory workshop during which they built a character representative of their region in the shape of a giant puppet. Seven places, seven friendly cities that said “Yes I want to” for a crazy project! 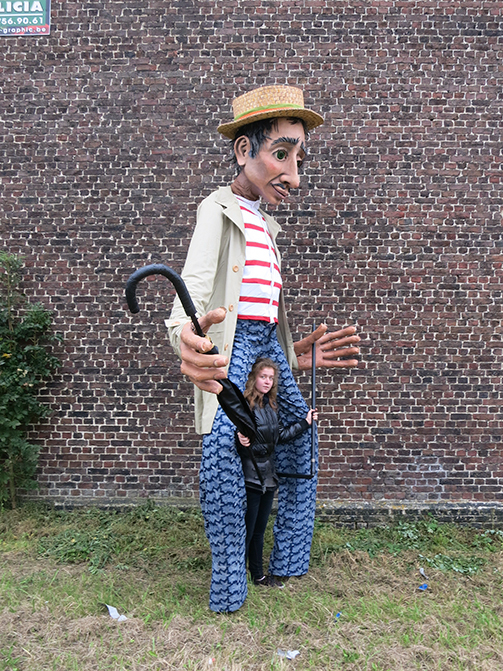 The workshop organised by the French Grandes Personnes collective, enabled the encounter of people from La Louvière with citizens coming from Poland, Italy and France, all working towards the same goal: to create seven giants for the show. 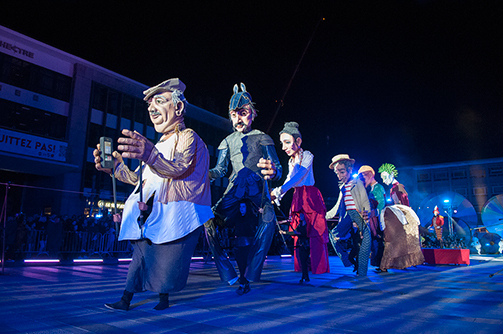 The puppets took shape in turn: Rosina (Roseto - Italy), Ferdinand de Marne (Saint-Maur-des-Fossés - France), Ma (Pineto - Italy), Toto (Aragona - Sicily), Léonie (Eguisheim - France), Lucien Fédéric (Kalisz - Poland) and Astolfo (Foligno - Italy) who made their first appearance in Décrocher la lune 2015, alongside Sancho, the giant from La Louvière. La Compagnie des Sept Lieux continues the adventure with some twenty manipulators, repairers and costume makers from La Louvière, and intends to travel across Belgium, but also to venture beyond its borders.